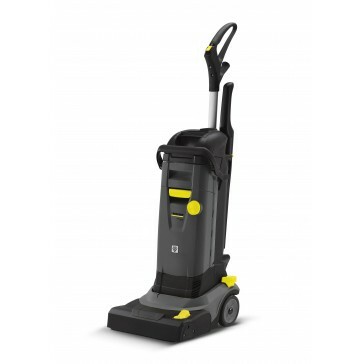 Mains Powered Professional Small Area Scrubber Drier that Operates like an Upright Vacuum Cleaner. 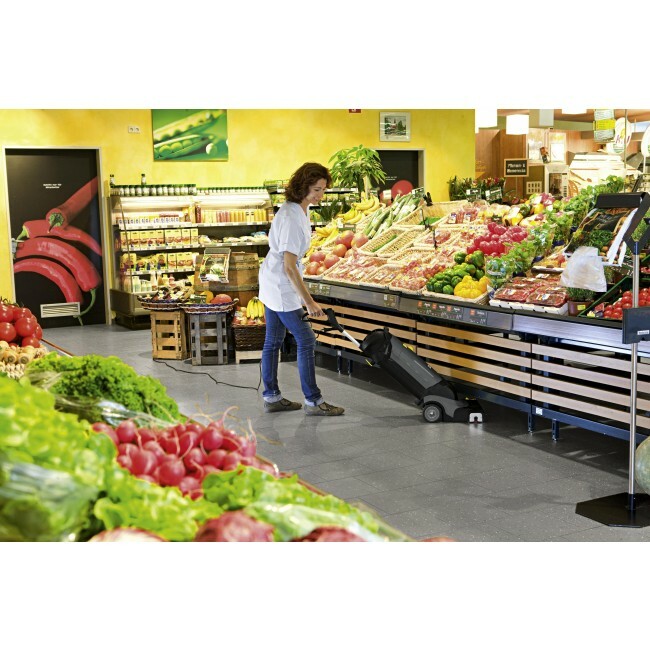 Kärcher’s BR 30/4 C scrubber drier eliminates the hassle and safety risks associated with floor mopping in public areas. 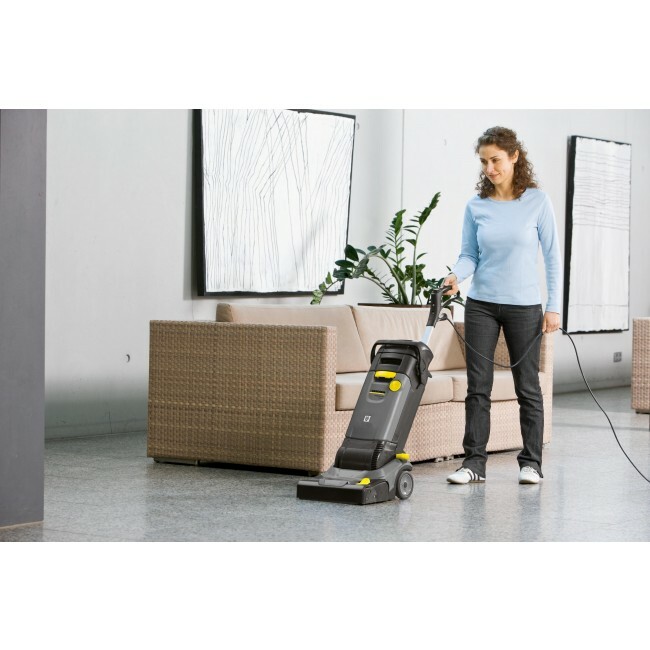 As easy to use as an upright vacuum cleaner, the 30/4 thoroughly cleans and dries floors in a single pass, and can also be used for deep cleaning. Using a BR 30/4 C is faster, easier, more hygienic and safer for operators and public than mopping, leaving floors instantly clean, safe and usable. The BR 30/4 C is designed to be safe and hygienic for operators. Its four litre clean and dirty water tanks are fully removable and easy to clean and refill, while the roller brush and squeegees can be removed and replaced without tools. Vacuum can be switched off by foot pedal. The dirty water tank can be removed separately and emptied into a sink, for example. Tanks can be removed separately or together. Including handle for easy transport.